GH fans may already have known about Rick Springfield’s battle with depression, as he wrote about it in his autobiography “Late, Late at Night.” For those who haven’t read it, he goes into detail about when he was 17 years old, and he attempted to hang himself, but survived when the rope snapped; and he can’t explain how it happened. Springfield admits that having young children, stopped him from attempting it again, but the thoughts and feeling never went away. 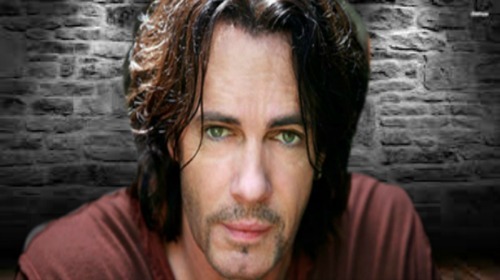 Rocker Rick Springfield talks about taking medication, but says it never really worked for him. It was a temporary fix – his real “lift” came from meditation. He does acknowledge that it takes hard work and he has to be honest about what he is feeling every day. General Hospital spoilers reveal that the writers at GH have always made it a point to bring real life issues on screen and mental health has been one of the big ones, like Sonny Corinthos’ (Maurice Benard) bipolar disorder. 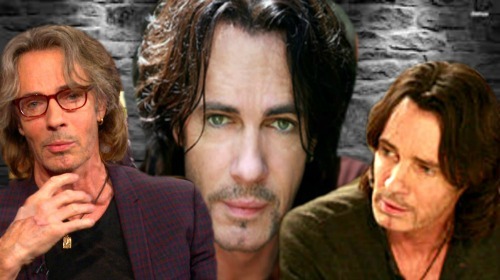 Rick Springfield has been brave bringing his struggles to the light, and his fans continue to hope the best for him and that he will continue to find an outlet for his pain and darkness. Don’t forget to be on the look out for Rick Springfield’s upcoming album “The Snake King” which includes his new song “Suicide Manifesto”. Be sure to tune into ABC’s General Hospital (GH) to catch up on everything happening right now in Port Charles. Check CDL General Hospital spoilers often for updates, news, rumors and spoilers!